Imogen's Typewriter. 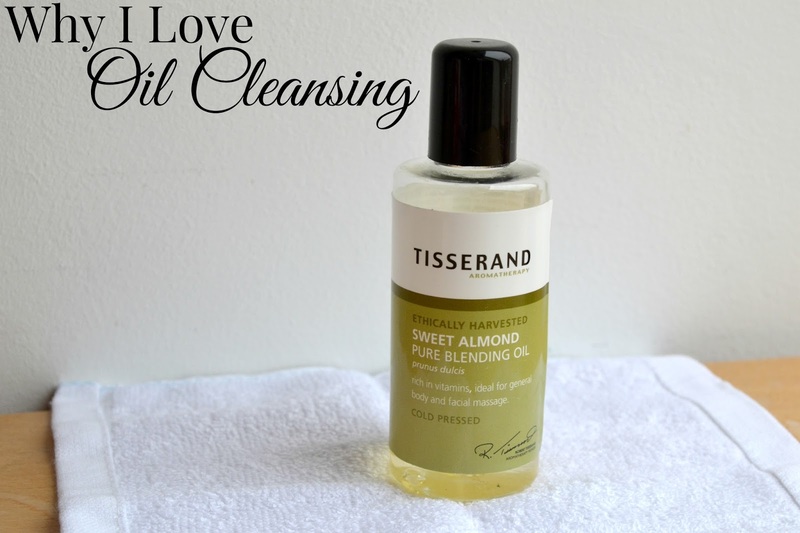 : Why I Love Oil Cleansing! Let's talk about Oil Cleansing. This is the method of cleansing the skin where instead of using a balm or a gel or a wash, you cleanse your face with oil! It basically works by the science that like attracts like, oil attracts the oil in your skin and when you wash it off, the oil on your skin and all the gunk comes with it. I've tried cleansers from £4 to £40 and this is my favourite method of cleaning my skin. One. The first time I did it, my pores became the clearest they had ever been since I knew what pores were. Two. It's affordable, all you need is an oil which I get at my local health store for around £6 and a flannel which you can get three of at Primark for £2. That's it. That bottle will last about two months in my experience. Three. Instead of feeling stripped or dirty, my skin feels clean and nourished after I'm finished. Four. Long term, my skin has been- great! I didn't have terrible skin in the first place but I look at my foundation now and can't imagine ever finishing a bottle because of how little I use to get a flawless look. Five. No chemicals or general nastiness. There's one ingredient. One. I feel a lot better using one ingredient on my face that I know where it came from then twenty that I can't even name. Six. It's customisable. If your skin is having a bad week or needs a boost as it sometimes just does then you can reach for an essential oil to mix in. Here's a pretty extensive list! To do it, I get a few drops of oil on my hands and massage it into my skin, makeup and all. Then with a hot damp washcloth I let it rest over my skin to open my pores. After a couple seconds or minutes depending on how long I have, I just take the wash cloth off and wash off the oil. I've used Jojoba oil, which is the oil closest to the skins oil and is great for temperamental skin but at the moment I'm using sweet almond oil as winter is so drying. I also have Castor Oil for when my skin needs a really good cleanse. Don't think it's just for dry skin! There's a lot you can read about the benefits and pros of oil cleansing for all skin types, I just wanted to throw my two cents in and hopefully get more people trying out this pretty neat way of caring for your skin. Have you ever tried Oil Cleansing? What do you think?